The vote could have a ripple effect in the U.S. retail industry as the economy recovers from the worst recession since the 1930s. Those opposed to a Wal-Mart in New York City are also closely monitoring the union move at Target. Target may be known for its cheap-chic apparel, but workers at one New York store say the company is just plain cheap. Late Friday night, about 250 workers at a Target store in Long Island plan to vote on whether to join the country's largest retail union. This is the first union vote Target has faced in two decades and if workers vote "yes," the store will be the first of the company's 1,700 locations to bring in organized labor. The vote could have a ripple effect in the U.S. retail industry as the economy recovers from the worst recession since the 1930s. At a time when jobs are scarce, the retail industry is expected to be one of the strongest sectors for job growth during this decade. But the hours and pay for jobs selling clothes, computers and other goods have been declining in recent years. At the same time, the industry has faced decreasing union membership, which can limit workers' ability to fight for better wages. Chris Tilly, who directs the UCLA Institute for Research on Labor and Employment, says a win for the union -- however unlikely -- would be significant. "It would not be the end of the story," he says. "They're testing the waters." Since two dozen workers from the store in Valley Stream, New York approached the union with their grievances regarding hours and pay in February, Target employees from around the country have been reaching out to the labor organization, according to Patrick Purcell, spokesman for the United Food & Commercial Workers Local 1500. "We're looking at the beginning of a national movement in Target stores," he says. "This is just the first step." Target has been taking steps of its own. The Minneapolis-based retailer has representatives going door to door in Valley Stream, distributing flyers to educate workers on the downside of unionization and is calling meetings with workers to answer questions. In a handout addressing whether the company would shut down the Valley Stream store if workers unionize, Target said: "There are no guarantees." Target spokeswoman Molly Snyder said the retailer seeks to create a workplace in which employees don't need union representation. "Target believes in solving issues and concerns by working together," she says. The vote comes at a time when union membership in the retail industry has waned. In 1983, 1.2 million retail workers were union members. Today, that number is 703,000, with more than half of those workers in grocery stores, according to the Retail, Wholesale and Department Store Union. At the same time, the quality of retail jobs has fallen. The median hourly wage for retail salespeople has dropped 3 percent since 2006 after adjusting for inflation. And shrinking hours for many workers make it hard to earn a living wage or qualify for benefits. "Workers are seeing their hours getting cut and their take-home pay, while basic costs for gas and food are soaring," says Burt Flickinger III, president of retail consultancy Strategic Resource Group. "They're increasingly frustrated." Workers at the store in Valley Stream are upset about wage increases amounting to eight cents or less, says Purcell, the union spokesman. Some employees also say their hours have been cut from 30 per week to fewer than 10. Part-timers must bank at least 20 hours a week, on average, to qualify for benefits. 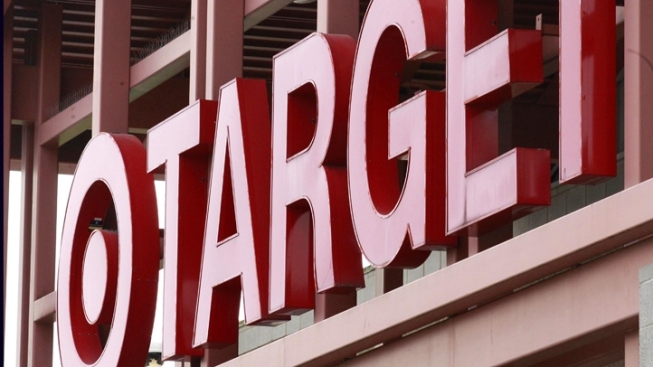 A Target spokeswoman says hourly workers at the Valley Stream store average 24 hours a week. Charmain Brown, who's worked at Target for six years, supports the effort to organize. "I feel like if we get a union it would be better because we'd have a voice, somebody to stand up for us," he says. Betsy Wilson, a single mom of two who works about 21 hours a week at Target, disagrees. "What do I need a union to fight for me for?" she says. Other retail workers also are putting up a fight. A new group called the Organization United for Respect at Wal-Mart, partly funded by the UFCW, coordinated a small protest at the company's Bentonville, Ark., headquarters Thursday. And a union representing 4000 Macy's workers in New York, including those at the flagship store, authorized a strike on Monday when the department store tried to get concessions on wages, benefits and hours. A tentative agreement was reached on Thursday. "We haven't seen such unrest in organized labor (in the retail sector) since the 1970s," Flickinger says. Much of that unrest has been focused on Target's competitor, Wal-Mart Stores Inc. Over the past decade, the UFCW has made several failed attempts to gain a foothold in Wal-Mart's U.S. stores. In 2004, the company shuttered a Canadian store after it became the first in North America to win union certification. In 2000, 11 workers in the meatpacking department at a store in Jacksonville, Tex., voted to join the UFCW. Soon after, Wal-Mart began stocking only pre-wrapped meats, effectively eliminating the positions. Target usually has not been the bulls-eye of labor problems, but this is not the first time the retailer has had to defend its image. At a shareholder meeting in Pittsburgh on June 8, Target Chief Executive Officer Gregg Steinhafel was confronted by critics unhappy with the company's donation last August to a political group backing Minnesota Republican candidate Tom Emmer, an opponent of gay marriage. The controversy led pop artist Lady Gaga to cancel a deal to sell a special edition of an upcoming album in Target stores. Don Schroeder, a Mintz Levin labor attorney who has represented corporations in similar battles for 18 years, said Target has been successful at defeating union election petitions in the past, even in union strongholds like Detroit. He believes the election is likely to be decided by fewer than 30 votes. Unions generally don't file a petition unless they feel they have the vote firmed up, but with a high-profile company like Target, he says, labor may be willing to take a chance. "They know if they win one, it could be a domino effect," he says.